Renew your subscription by calling the Box Office at (847) 295-2135. 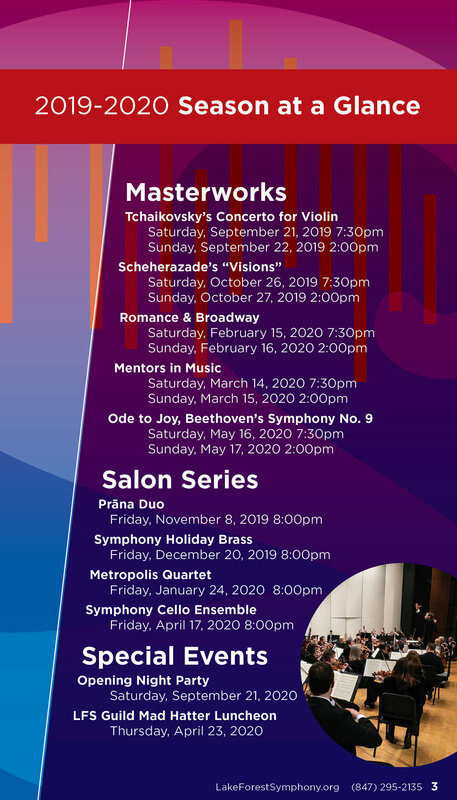 Purchase a new subscription starting July 1 or single tickets starting August 1, 2019. 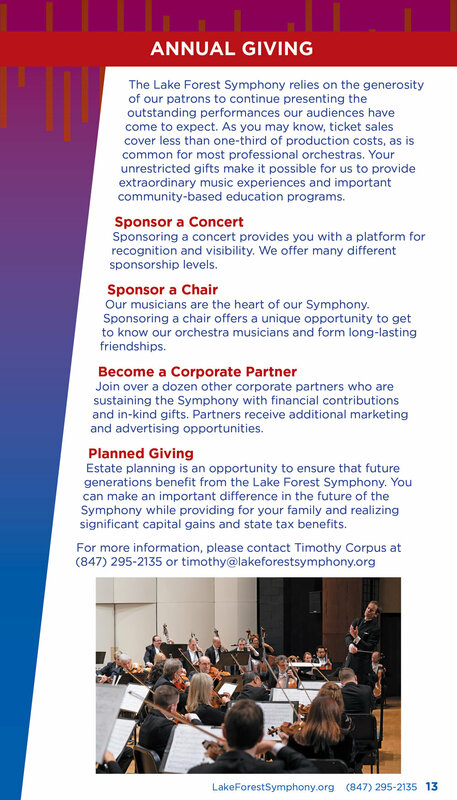 Subscribe to 3, 4, or all 5 Masterworks concerts and save! The Prāna Duo present a program of contrasting, original and transcribed works. The focus is on romantic and impressionist repertoire of French composers. Along with this, a sprinkle of modernism will enter into the mix as the artists both and entertain and inform us with spoken introductions to the repertoire and to their instruments. Come join fellow Lake Foresters in what is sure to become a holiday tradition! 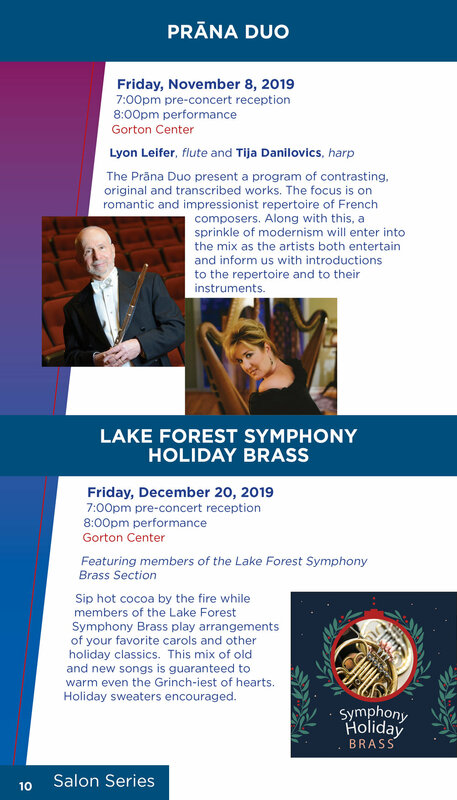 Sip hot cocoa by the fire while members of the Lake Forest Symphony Brass play arrangements of your favorite carols and other holiday classics. This mix of old and new songs is guaranteed to warm even the Grinch-iest of hearts. Holiday sweaters encouraged. French Impressionism meets Baroque! Enjoy the color and style changes that Bach, Haydn, Debussy, Poulenc and Martinu achieved in their works written for various combinations of oboe, violin, cello and piano. This performance will begin by exploring two baroque masters - JS Bach’s Concerto for Oboe and Violin and Haydn’s Trio for violin, cello and piano. The second half of the program heads to the world of French Impressionism with a solo piano work by Debussy and Poulenc’s amazing Sonata for Oboe and Piano. The program will culminate with Martinu’s Quartet for oboe, violin, cello and piano.